Dolphin Press & Print is a premier printmaking atelier, distinguished by its celebration and commitment to the highest standards of the printmaking tradition. 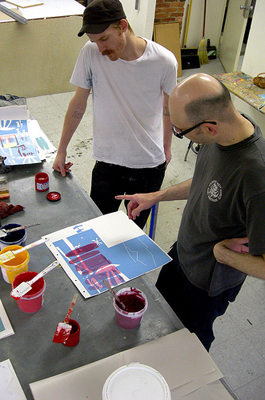 Located in Baltimore at the Maryland Institute College of Art (MICA), Dolphin Press & Print is the only university-based shop where students are the printers, not assistants. Dolphin Press & Print is creating future artists and collaborators who emerge from MICA as creative entrepreneurs with skills in master printing, archiving and curatorial practice.